I saw a post in FB, sharing a recipe on steam fruit cake. I have never wanted to try making one on my own cos I thought it is difficult to do so but surprisingly when I read the recipe’s instruction it looks simple and so I decide to try it out. Thus last night I embarked on another night baking … usually my night baking only happens when the mood strikes really hot which is not often hahaha….. The verdict after steaming the cake for 4 hours and only cut it out early this morning? It’s GOOD!!! Really GOOD!! My husband, my colleagues and youngest daughter all praise it saying that it tasted good and moist. Note: Sprinkle a little bit of flour on the mixed fruits and mixed well so that the fruits do not clump together. – Sieve the flour together with the cream of tartar, bicarbonate soda and nutmeg powder. Put aside. – Beat the eggs together with the vanilla essence. Put aside. – Slowly add the hot water to the pot bit by bit. – Then add the butter and keep stirring till the butter melts. – Add in the mixed fruits, stir and let it boil for a minute or so. Off the fire and let the mixture cool till it becomes warm. – Then add the flour mixture bit by bit into the warm sugar mixture. Mix well. – After that add the beaten eggs and mix well. – Cover the cake tin with aluminium foil to prevent any steam water from getting into the cake. – Steam the cake for 4 hours. After 4 hours, off the fire and let the cake cool before cutting it. Note: After cooking the sugar mixture, you can start heating up the steamer. Use only medium fire. Use hot water to top up the water in the steamer whenever needed. Kuih Kaswi Pandan is the modern version of a traditional Malay kuih (steam cake). 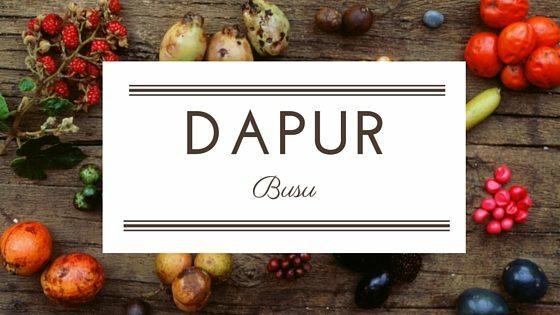 The original and tradisional version do not use pandan (screwpine juice) but use palm sugar instead. The colour is dark brown, while this Kaswi Pandan I made is green in colour thanks to the screwpine. This Kuih Kaswi is usually taken during breakfast, afternoon teas and as desserts after a gathering. Its soft and a bit chewy. A favourite among the Malays. 2/3 cup of sugar – cook over a small fire with 2 cups of water. Off the fire once the sugar has dissolved. In a pot, mix all ingredients including the dissolve sugar. Mix well till the batter is smooth. Cook over a small fire till the mixture thickens slightly. Pour into the baking pan and steam for half an hour. Let it cool totally before cutting. Cut the Kaswi and sprinkle grated coconut on top. 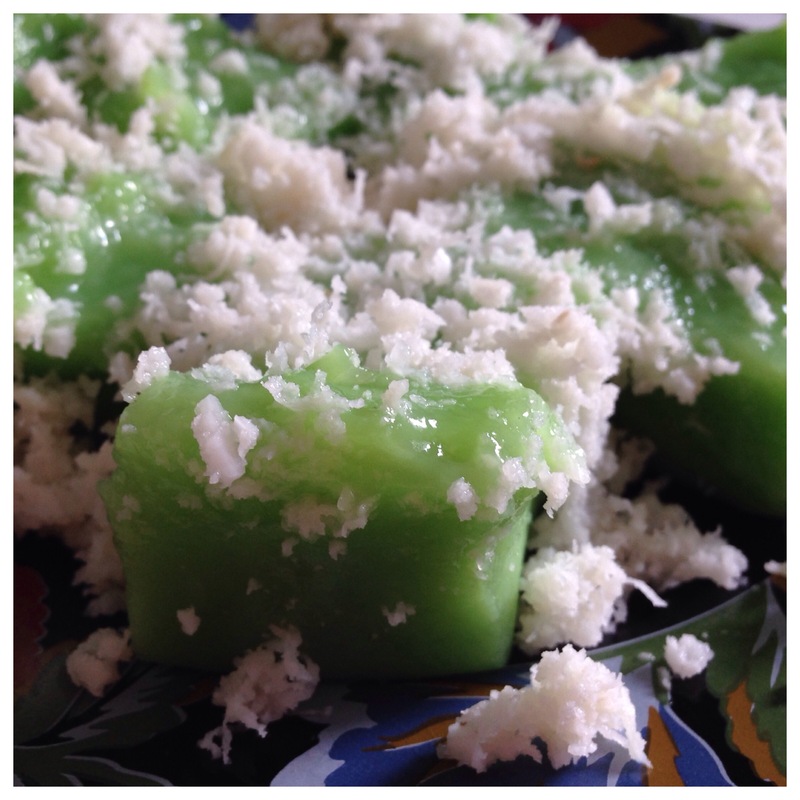 Note : Steam the grated coconut in a few small pieces of pandan leaves beforehand. This will ensure the grated coconut stays fresh for a longer period. Can also mix the grated coconut with a pinch of salt for a better taste to it. I keep seeing cempedak last week (aka Artocarpus integer), wherever I go and so I could not resist purchasing one of it. After that, I could not decide whether to just fry it or make it into a dessert. Finally, I decided to puree the flesh of the Cempedak and make the Talam Cempedak. Talam Cempedak, is a Malay kuih, a sweet dessert that is usually serve during teabreaks or gatherings. It’s pretty easy to cook it just that the steaming will take a couple of hours and you have to properly cool it before you can cut and eat it. – Mix all ingredients together, whisk until blended well. – Steam for 50-60 mins or until cook. Use medium fire to steam. – Mix all ingredients together and strain it. – Once the second layer is cooked and firm, take it off from the steamer, cool it for at least 3 hours before cutting it.